Below is my latest installment to my erratically published autobiographical comic “PRINTMAKING SPLENDOR”, titled The Lynda Barry Effect. This comic was inspired by reading Lynda Barry‘s new book “Syllabus”. 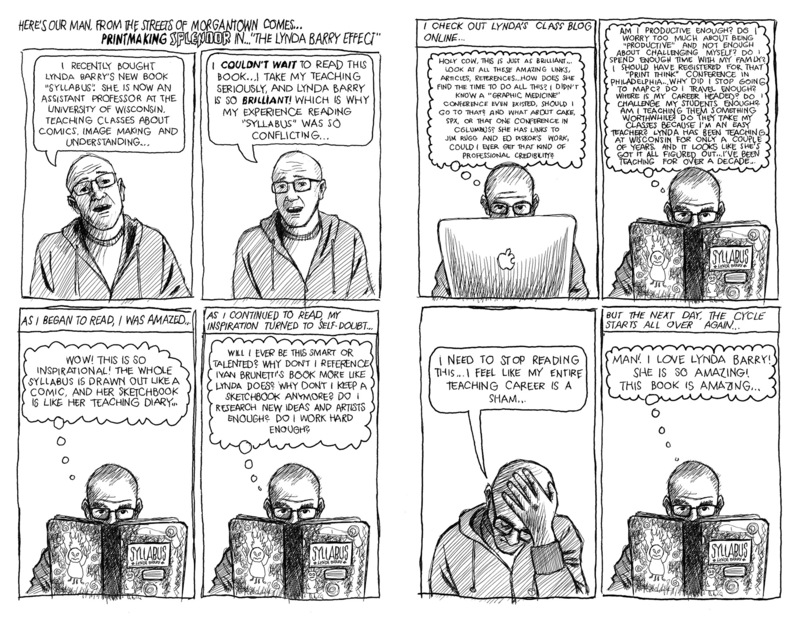 I hope this comic shows an almost universal experience for many creative people. The more I meet and get to know all kinds of artists, the more I think that we are all the same, in that we have many of the same fears and anxieties when it comes to “measuring up” to other artists.